Hip anatomy. 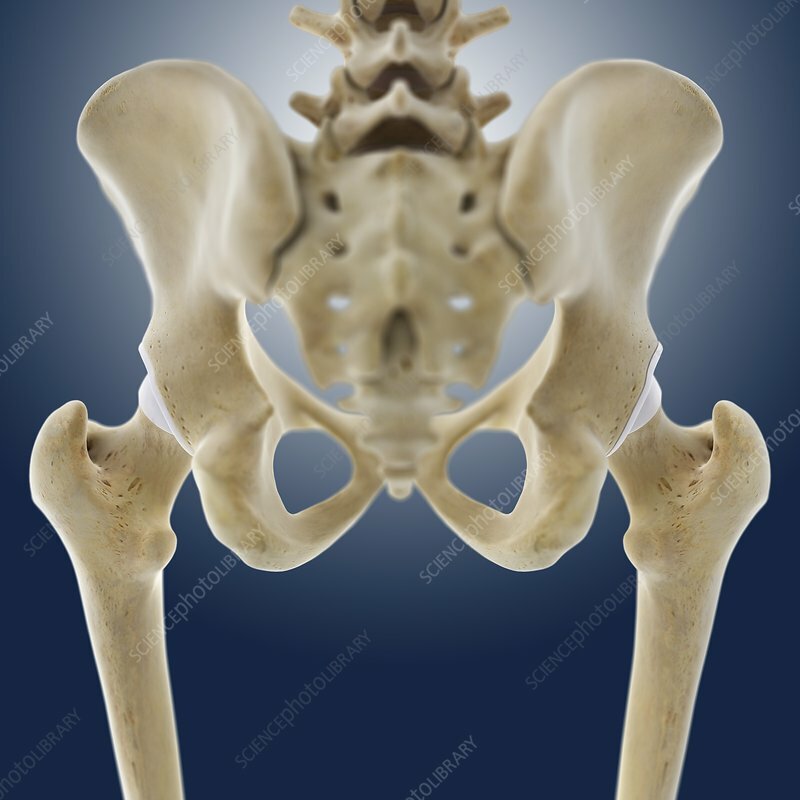 Computer artwork of a posterior view of the hips. At top is the lumbar (lower) spine. The large triangular bone beneath it is the sacrum, with the cocyx (tailbone) beneath that. Either side of the sacrum are the large ear-shaped hip bones, which are formed from three fused bones, the ilium, ischium and pubis. These articulate with the head of the femur (thigh bone) to form the hip joint. The surfaces of the joints are covered in a form of hyaline cartilage called articular cartilage (white) that protects the bone surface from wear and tear.